Greece is a party to The Hague Evidence Convention, and prior permission for taking depositions of citizens of Greece is not required. Depositions in Greece are straightforward and easy to follow if you utilize the Planet Depos deposition checklist specific to Greece. We highly suggest allowing roughly 4 to 6 weeks time for scheduling depositions in Greece due to the logistics involved in the scheduling and planning processes. With teams living on-the-ground throughout Europe, Planet Depos is often able to cover last-minute requests. Our international team has over 15 years of experience handling depositions, arbitrations, and more throughout Europe, including in Greece. Our team is ready to assist you and can provide you with many travel tips before your deposition to ensure a stress-free trip. Contact our international team to learn more. 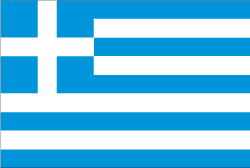 Depositions in Greece are straightforward and easy to follow if you utilize our deposition checklist. Planet Depos offers cost-effective and reliable realtime, transcription, and related services for arbitrations in Greece. Prior to booking your travel to Greece, be sure to review our Greece Travel Tips.